Not content with all of the other info they dropped on us today, Nintendo gave us another video teaser after series lead Sakurai signed off — King K. Rool from the Donkey Kong Country series. While Rool wasn’t exactly predicted or leaked ahead of time, he has been on the collective Smash community’s wishlist for years on end, basically since the series existed. Now they can tick that box after 19 years. And we were almost fooled! 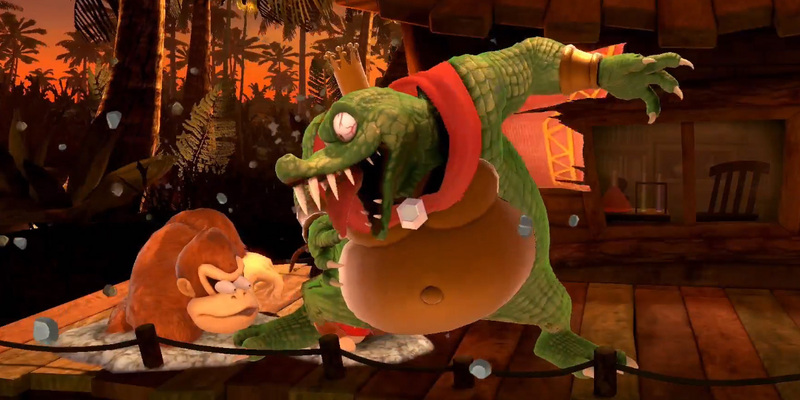 King Dedede nearly trolled us with a faux K. Rool costume in the reveal. For those of you keeping track: Dark Samus, Chrom, Simon Belmont, Richter, and King K. Rool were all confirmed today.